Mixed reaction have greeted the emergence of 9Mobile Network as some subscribers urge the service provider to improve on its service, while others say the quality of service delivery has remained stable. Newsmen on Thursday in Abuja spoke with subscribers in separate interviews on their experiences with the new 9Mobile network. 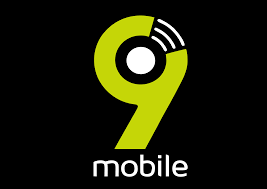 Meanwhile CBN governor, Mr Godwin Emefiele on Wednesday said that new investors to the newly unveiled brand 9Mobile would emerge latest December. He said that the current board is an interim one and was not supposed to last beyond 90 to 100 days from inception. Etisalat Nigeria Ltd., Nigeria’s fourth largest telecommunication firm had been facing some financial crisis since Mubadala Development Company of United Arab Emirates, the company’s largest shareholder pulled out its investment from the country. Etisala changed its name to 9Mobile after the resolution of the crisis to reflect the new management led by the Chief Executive Officer, Mr Boye Olusanya. Mrs Juliet Omere, a civil servant told NAN that since the change, the network had not been very stable and urged the new management to improve on the service as soon as it settled down. Omere said that Etisalat data used to be the cheapest and very effective but in recent times, some subscribers had been experiencing some difficulties with the network. “Since this change to 9Mobile, the network has not been very good but I believe that as the management settles down to work, there will be an improvement. “It may be part of the fallout of the crisis and we expect improvement soon,’’ she said. Another respondent and an etisalat subscriber, Mrs Janet Obike, a teacher decried the undue hardship the network was creating for its customers in recent times. “For about a week now, I have been finding it difficult to load the credit I bought even when I want to attend to some urgent issues. “The problem of this network provider is too much since this Etisalat problem began; I as an individual have been at the receiving end of their inadequacy. “My boy called from school to give me an urgent message, I bought air-time to be able to reach him only for the credit to refuse to load. “I tried several times only for it to tell me `unknown application’ eventually I had to use somebody else’s phone to make the call. “Even now I still cannot load my airtime which is quite frustrating. I appeal to 9Mobile to quickly address the problem.’’ Mr Bassy Ukong, a lawyer also complained about the trouble he was facing in loading his internet data in the network. Ukong said loading his data credit was now problematic and this had made it impossible for him to access the internet. “I feel completely shut out as this network is my only internet network, I cannot do Facebook or Whatsapp and other apps.’’ He urged 9Mobile to quickly address the issue because porting to another network would not address it, saying “they are the same, it is just a matter of time before they start their own `wahala’’. Ukong therefore called on the Nigerian Communications Commission (NCC) and the Federal Government to bring up policies that would ensure that Nigerians were not short changed by operators. Mrs Rose Ibeh, another civil servant said that she was happy that her line was intact, adding that 9Mobile should quickly start working for effective service delivery. “I am happy that my line is safe because as I heard of the change, I was afraid that I may lose my Etisalat line. “My appeal to the new management is that it should work hard to give subscribers good services,’’ she said. Mr Felix Osundu, a businessman said that he was happy with the government for intervening in the issue of Etisalat and the 13 banks as this had helped stakeholders in the industry. Osundu urged the new management of 9Mobile to ensure that it did its best in ensuring that customers were not disappointed. “I am happy for the quick intervention of government on the issue but the new provider should make sure that subscribers get value for their money,’’ he said. However, Mr Joseph Olusola, an engineer said that he had not been experiencing much change in the service of 9mobile since the change of name and management. He said that it was his belief that the new management would quickly settle down to work and improve on their services. It has been speculated that many telecom companies, including Bharti Airtel of India, Vodafone of UK, and France’s Orange Mobile, were jostling to grab the 65 per cent shareholding open to new investors from the exit of Mubadala and Emirates Telecoms of the UAE.